Whenever I think, “wouldn’t it be crazy if …” I can’t help but smile. Now that I’ve explored several of my crazy ideas and know what happens when I see one through, a new crazy idea is always intriguing. Before I got sick and answered my wake up call, and before we simplified our lives by paying off our debt and getting rid of clutter, I dismissed most crazy ideas. I stuck with the plan instead. Work hard, climb the ladder, made ends meet. A.K.A. Ignore what you really need and burn out trying to do it all. we sell our house? We did it and downsized to an apartment less than 1/2 the size with no storage space. I quit my job? With a solid exit strategy that took 16 months to execute, I gave my notice and walked away from an almost 20 year career. Scary? YES! Worth it? So much more YES! 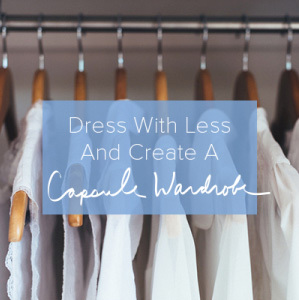 dress with 33 items or less for 3 months? I started minimalist fashion challenge Project 333 in 2010. October 1st marks 7 years of dressing with less. I can’t imagine how much money and time I’ve saved with this crazy idea. A new season starts October 1st. I take my tiny wardrobe on tour? 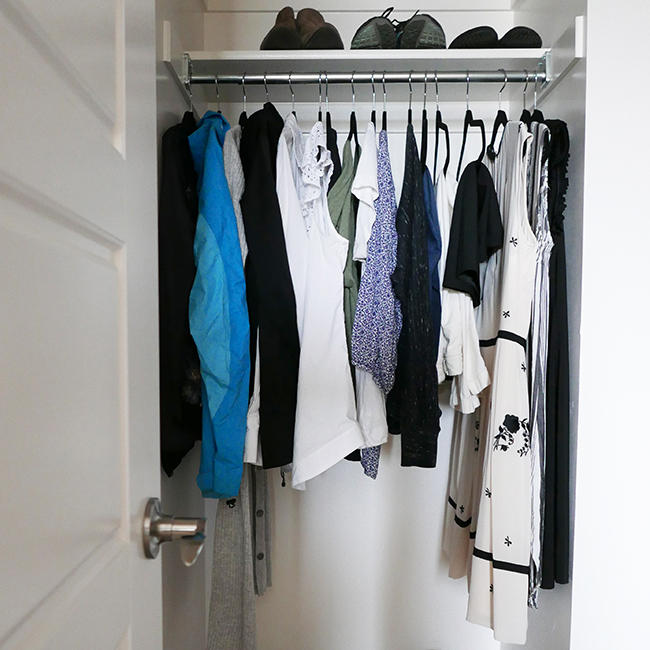 In January 2015 I committed to visiting 33 cities with my tiny wardrobe. I’ve been to 30 and there are 3 more to go. I’ll be in Des Moines on October 11th, and Boise and Scottsdale this November (dates coming soon). I’ve met the best people, explored new cities, and shared how dressing with less and simplifying my life has changed me in the best ways. The Tiny Wardrobe Tour has been one of my favorite crazy ideas. we give up sugar for 30 days? Mark and I are in the middle of another Whole30. We learn more and more about ourselves and our relationship with food each time we spend 30 days without sugar, grains, alcohol, dairy and legumes (spoiler alert: legumes aren’t the problem). I write a book? I’ve written short ebooks before, but writing a longer, more personal book with help from an editor, publisher, and full team felt a little crazy. 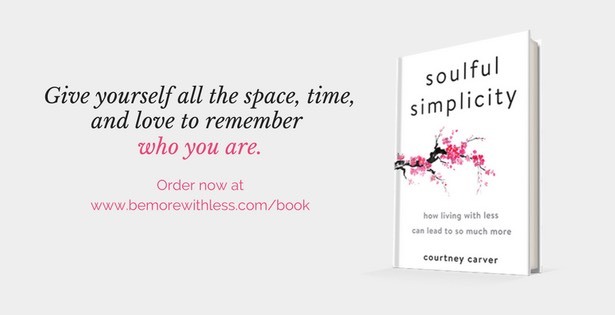 Soulful Simplicity will be published December 26 by Penguin Random House. Next week I’ll be sharing some fun simplicity-inspired bonuses if you order the book early (if you already ordered — they will be available to you too). Those are only a few of my crazy ideas and I know there are many more to come. Usually after I think, “wouldn’t it be crazy if …?” I think, “I could never do that.” As soon as the word never crosses my mind, I know I’m on to something. Whenever I think … “I could never” or “that’s crazy” I know I need more information, and that I’ve identified an area to grow and change. I always challenge my nevers. If your never is too scary to consider at first, write it down and come back to it. Oh I loved this! Definitely going to start writing my nevers and begin thinking of how I could change them. Also, I’m going to start writing down my crazy ideas! Also, congratulations on your book being published! This post has come at a good time. There is the possibility of us moving overseas soon (my husband is going for a job). At first this was a daunting idea and a bit crazy really. But after much research we feel we can do this. It will be a challenge, with having to learn a new language (work is in English), live in a smaller house, not have a car, survive colder weather that we are not used to, and make new friends. We are focusing on the positive aspects and the opportunities instead. We will be in Europe and can travel to many countries cheaply, live in the city and bike/walk everywhere, not have a garden to take care of, and the chance to challenge ourselves to explore new things. I think there are always some losses when you do something new, but the gains are often worth it. At the very least you learn a lot about yourself and grow in the process! Wow, this could almost have been my comment! We have made the decision to move from the US to Europe for my husband’s job (sort of a move back home for me, since I’m British). We do already have connections with the country, and a smattering of its language, but we’ll still have the challenges of selling almost everything we own and starting over in mid life. I don’t think we could have taken this leap had we not been working towards simplicity for several years now. This is incredibly inspiring. I’ve been wrestling with my “never”s for a while. Trying to say “okay, how do I start this long process”, waiting a few hours, and then inevitably getting overrun with anxiety about my worst enemy, the “what if” question. This has been my previous several months. I love the optimism in this post (and entire site). I my two-weeks notice recently, and when my father, friends, and coworkers have asked what I’m going to do next, I respond with “just write”. I want to be a writer and with university during the week and a demeaning job on the weekends, I haven’t had time to focus on “me”. Now is time to focus on my goals. And I keep telling myself, “it’ll all work out, don’t you worry. The universe will help you get to where you are meant to be”– I read The Alchemist by Paulo Coelho recently and this belief really stuck with me. Whether or not I believe this in a given moment, that’s another question. But I’m trying, and by all hell I won’t give up. “Someday” has no place in my life anymore. 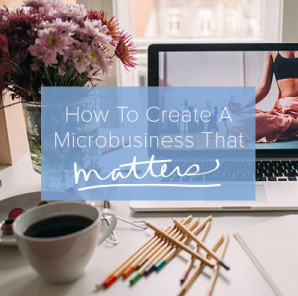 This post had quite the timing – I am about to embark on a crazy idea to quit my job, go part time for a bit of cash and dive into another crazy idea to try and create a business. Thank you for the encouragement! Great post! I successfully answered your first 5 “I could never” with “yes I did” — but I was also able to fill in your last 3. Work to do! Thoughts to change! “I always challenge my nevers.” That’s going to be a new sign for only me to see, at my desk – thank you!!! Your Daily simplicity challenge – is there a way for a person not on social media (aka Me) to access them? “Living unconventionally comes at a cost” – Susan David. Once I saw this quote I felt relieved. It was as if I was given an internal permission to go for crazy things and be ok with the territory my decisions will come with. I keep doing it, I keep buying one way tickets, doing things that not many dare and stopping just because I don’t want to continue. Challenges are all mine, immune to social pressure and commonly accepted norms. A small dessert dish became a succulent garden. A small bowl my son made in art class became another one. A cousin asked for 2 pairs of my costume jewelry earrings. My grandson says his cousin needs one of my tchotkes. I am passing things on gladly. We live in 1600 sq ft but we could go much smaller. I will be paying attentions to my “nevers” now too. My 2nd wake up call was a flood and a lymes bite last year. My first was when I first found your site and realized I had 42 places to sit in my house – and I live alone. My husband agreed with my crazy idea to sell our only car and rely on public transport and occasional car sharing for longer trips. Trying so hard get rid of those pesky student loans.